784 ab urbe condita—31 AD. Jerusalem sits uneasily in a Roman Empire that has seen an industrial revolution and now has cable news and flying machines—and rites and morals that are strange and repellent to the native people of Judaea. A charismatic young leader is arrested after a riot in the Temple. He seems to be a man of peace, but among his followers are Zealots and dagger-men sworn to drive the Romans from the Holy Land. As the city spirals into violence, the stage is set for a legal case that will shape the future—the trial of Yeshua Ben Yusuf. 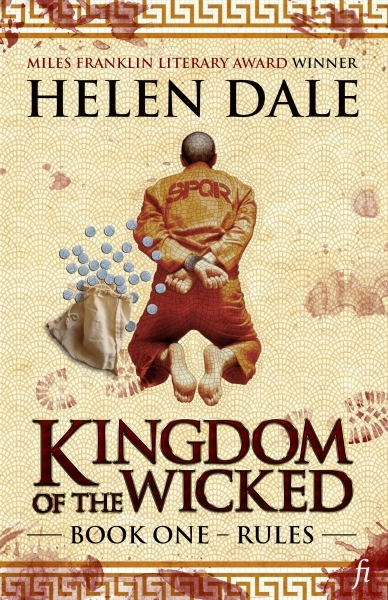 Intricately imagined and ferociously executed, Kingdom of the Wicked is a stunning alternative history and a story for our time.